Download our First Home Buyers guide! Buying your first home doesn’t need to be daunting. At Mortgage House, we can guide you through the process with ease, helping you move in sooner. We offer several mortgages to suit your needs. If you seek flexibility rather than a guaranteed rate, a variable mortgage may be right. Want a house that is 100% as you envisioned it? A construction home loan is the answer. A split mortgage lets you make part of your loan fixed and the other half - variable. Choose the best loan product to fit your needs. Now that you’ve learned how much you can spend, you’ll be able to search for a home you can afford to enjoy. Your Mortgage House Home Loan Specialist can help you evaluate the property you’ve fallen in love with and provide a free property report. If it is a good value and solid investment, we’ll guide you through the offer process. Once you decide that this home is “the one,” you’ll need to make a formal offer to buy the property. You’ll want to make your offer contingent on final approval of your mortgage application and a property inspection. Try to negotiate ten days to accomplish both, instead of the standard five. If the buyer accepts the terms of your offer, we will move forward and prepare the loan documents for your settlement date. Research is critical when choosing your first mortgage. Understanding home loan products, repayment to purchasing costs such as stamp duty is critical to avoid any surprises down-the-track. Below are the list of questions and answers which are common for first home buyers when it comes to mortgages. As a first home owner, which mortgages are best for me? As a first home buyer, looking through all the mortgages on offer can be daunting. In fact, the whole process can be very, very emotional. Initial excitement can quickly turn to confusion, then anxiety, being overwhelmed, and even confusion. But don’t worry, we are here to help. We can help you get to know the terminology surrounding mortgages and how to make all the calculations. At Mortgage House we understand being a first home owner means you probably won’t understand all the steps required to make your dream come true. We can walk you through these steps, starting with working out how much you can borrow, and want that means for weekly or monthly payments. Once you have that information, you can start looking for the house you have always wanted. We can be there for you then, too. Once you have chosen from the mortgages on offer, we can guide you through the sale offer process. You will need to make a formal offer to buy the property, but make it contingent on your mortgage approval. If you can, negotiate 10 days instead of 5. If that’s accepted, then we can help you move on to prepare all the documents, and move you from being a first home buyer, to a first home owner. Being a first home buyer, you may need to rely on a lot of advice when it comes to mortgages. That’s OK, because that is what we are here for. 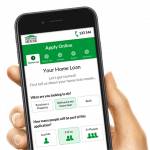 As one of Australia’s largest independently owned non-bank lenders, we have access to a range of home loans that can specifically suit the first home buyer. Finding the best one can be tricky, so being able to compare up to five at a time, using our experience, award-winning model, and the same resources as traditional brokers, can be a reassuring way to start. Our main goal is to help you find the mortgages suited to your needs, and guide you through the process easier. If you have found your dream first home, we want to help you secure it and start your new life as soon as possible. We provide you access to the tools, knowledge and experience to find great comparison deals quickly. Since the dawn of this century, being an Australian first home buyer has meant having access to a first home owner grant. They started as an offset to the GST, and have been used as a mechanism by most Australian States and Territories to stimulate the economy, create jobs and make mortgages more affordable for the first home buyer. They usually take the form of a one-off grant to those who are eligible. Income and age aren’t usually a factor, and States will often put a cap on the price of the house to ensure those who really need it have access to it. Some States might also make the grants higher for first home buyer mortgages in regional areas, or for new homes only. There are four main kinds of loans that can be available to the first home buyer. Knowing how each of them works can be more than just handy, it can save you money, now and in the future. The first one is the variable rate home loan. This can be a good way to leave some money in your pocket, and even give you the chance to pay it off sooner if you want to. The rate referred to is the interest rate, which will usually be lower than a fixed rate loan. As a first home buyer, having a variable rate loan means you can pay more off if you want, without penalties, but it also means the rate may change, either up or down. That can make things hard when it comes to budgeting. With a fixed rate loan, you can fix the interest rate for between one and five years, and renegotiate after that if you want. These mortgages can make it easy for budgeting, as you know exactly how much your repayments will be each time they are due. If interest rates rise, yours won’t, however some fixed rates can be higher than variable rates. Some of our fixed rate loans allow you to make extra payments if you wish. Having the same access to mortgages as the large lenders also means you can split your loan into periods of fixed and variable interest rates, if you want to, subject to a few conditions. And finally, construction loans give you the flexibility to draw down your loan as it is being built. When you are a first home buyer, the reality of having to pay stamp duty can be a real pain. Stamp duty can be different in each State. It is basically a tax the State charges on the sale value. It is calculated on the higher of either the purchase price or the current market value. The cost of it can be quite high, and it can often come as a surprise to a first home owner. Use our stamp duty calculator to help limit your surprise.